It is inevitable that Nvidia follows the GeForce GTX 1660 Ti launch with further GPUs hewn from the all-new Turing TU116 silicon blueprint. Makes sense, too, as the optimised nature of the die, which is much smaller than the one used by RTX 2060, enables the chip company to derivate without too much hassle. Without further ado, let's take a peek into how Nvidia has crafted a more mainstream GPU which retails today from £199 ($219). Enter the GeForce GTX 1660. Here is the full-fat TU116 die as used by the GeForce GTX 1660 Ti. This new GPU, without the Ti suffix, uses exactly the same die but reduces performance in two meaningful ways. Firstly, Nvidia disables two of the die's 24 SMs, and knowing that each one holds 64 Cuda cores and four texture-units, GTX 1660 chimes in with 1,408 cores (128 fewer) and 88 texture-units (eight fewer). This method of reducing performance potential is very standard in the GPU industry. Core clock speed rises a fraction, though the top-end of GTX 1660 is about 7.5 per cent slower than its bigger brother thanks to the Cuda-core deficit. No big deal, you would think, especially at the much keener £199 price point. Happy days! Not quite, as Nvidia realises it has to do something else for proper product segmentation. 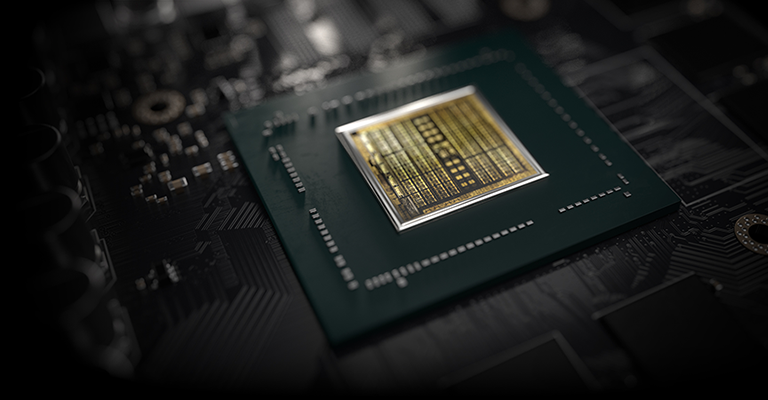 Though GTX 1660 uses the same 192-bit memory bus and retains the 6GB framebuffer as the Ti, it crucially replaces 12Gbps GDDR6 memory with 8Gbps GDDR5. This is an easy switch because Nvidia uses the same GDDR5 on multiple previous cards. The upshot is bandwidth pain, where the Ti version has precisely 50 per cent more, and it's this lack of oomph that will hamstring the GTX 1660's performance the most. Is the cut too savage, we might ask? Nvidia has previously used 9Gbps GDDR5 on the GTX 1060 and has 11Gbps GDDR5X available, as present on the GTX 1080/Ti. Should either of those have been used instead? We'll find out in the overclocking section. And that's yer lot. GeForce GTX 1660 also carries a 120W TDP, is plumbed with the standard 8-pin power connector, and ought to harness the very same cooling as a bevy of GTX 1660 Ti cards have done already. One would expect benchmark performance to be 10-20 per cent lower than GTX 1660 Ti, depending upon how partial the games engine is to a lack of memory bandwidth, yet such potential continues to bode well for excellent performance at FHD and usable QHD. Lastly, the £199-plus price point brings AMD's rival Radeon RX 580 8GB into play - it can be had for practically the same money; less so for the 4GB version - so the performance match-up will be interesting in this mass-market space. Note that Nvidia's partners will charge more for what they consider premium implementations. Thinking along those lines, let's introduce such a model from EVGA. We'd normally devote a separate page for an examination of a partner card. 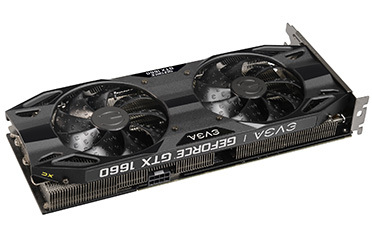 EVGA sent us its XC Ultra Gaming model whose cooling and PCB is a carbon copy of the GTX 1660 Ti version we reviewed last week; feel free to peruse that editorial. In sum, this premium interpretation of the GTX 1660 uses a trio of flattened heatpipes mounted inside a card-wide heatsink. We also know that it is eminently capable of cooling the Ti version so it will have absolutely no problems here. 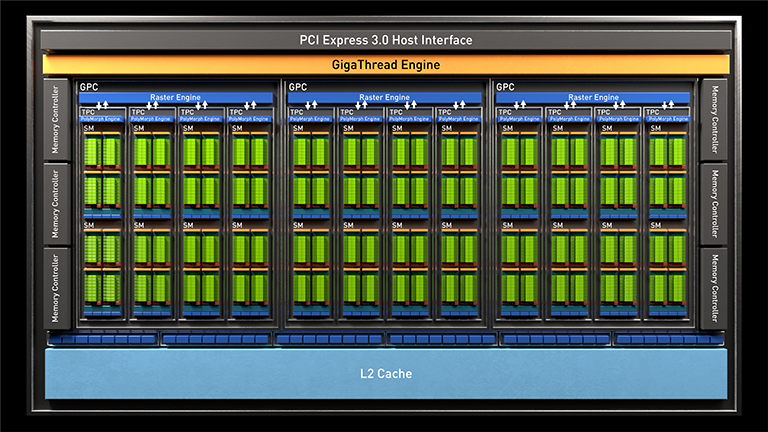 Other than that, it adopts a 10.5in length, occupies two PCIe slots, and its twin fans switch off at low loads. 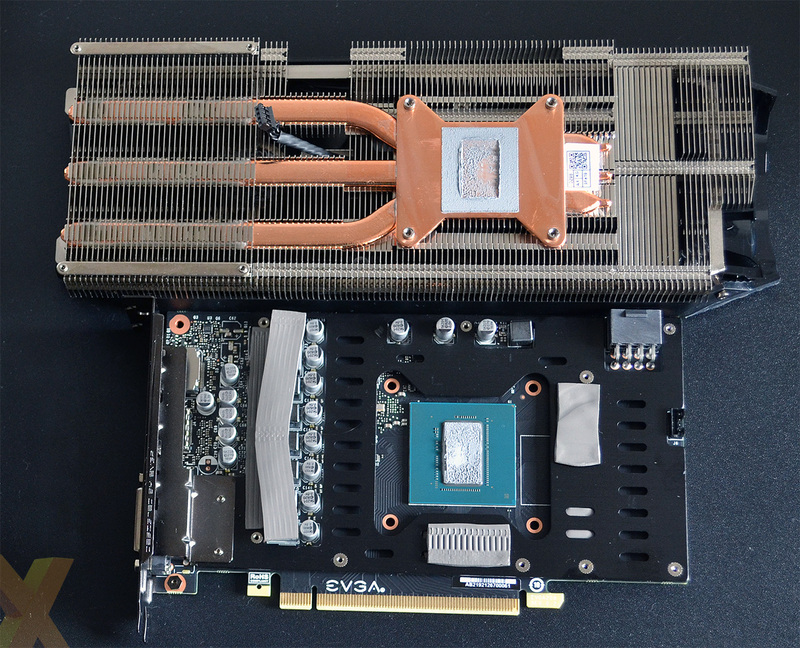 EVGA is able to increase the GPU's speed to a boost 1,830MHz, up from Nvidia's 1,785MHz, and we can expect a couple more per cent performance than a bone-stock model. As usual, though, memory is kept at stock speeds, which is 8Gbps GDDR5 here. The cooler doesn't feature RGB bling or lighting of any kind, but we're totally OK with the minimalist look. 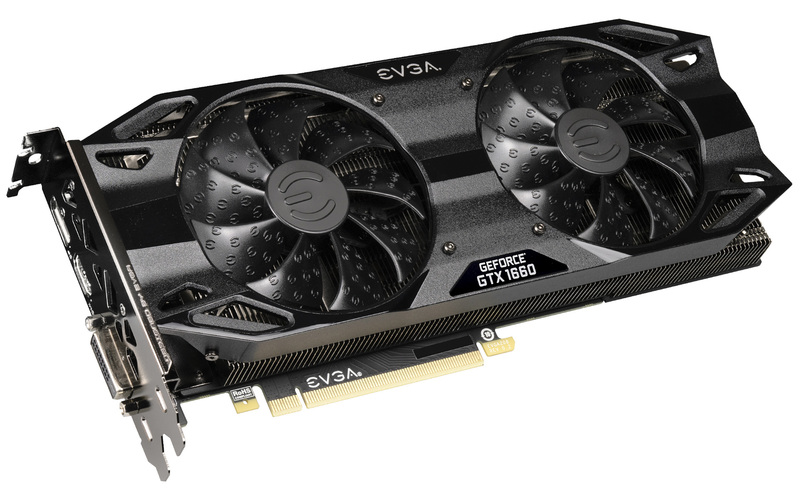 EVGA is aiming for a retail price of £229, which is 15 per cent more than being being charged for a few entry-level models - including EVGA's - whose framerate performance will be just a little lower. Guess the company has to pay for the enhanced cooling technology somehow, right? Enough jibber-jabber, let's get on to them benchmarks.